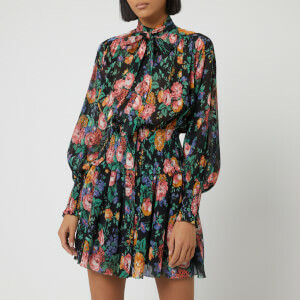 Women’s ‘Kochhar’ printed mini dress from Scandinavian fashion house, Ganni. 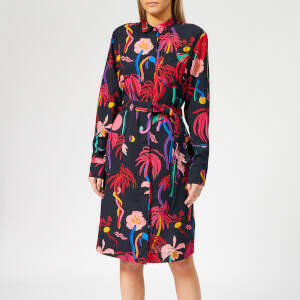 Cut from weightless, fluid silk, the loose fit dress features a high ruffled collar, long sleeves with buttoned cuffs and a flared hem. A bold floral print in black and white adds the finishing touch to the design.